America First! Ku Klux Klan marches. The police chief waving away such events as similar to the rituals of the Masons and Odd Fellows. America First again, from a prosperous housewife. “Well, who can argue with that? With all sorts of disreputable scoundrels flooding willy-nilly through the railroads and ports, why, we deserve to have someone stand up for us for a change, is what Fred says.” An African-American seething that cops can shoot Blacks in the back with impunity. Reading that, you’d be forgiven if you thought Lindsay Faye, author of Jane Steele, had abandoned the historical mysteries for which she’s won acclaim and Edgar Award nominations. Hardly. In The Paragon Hotel, she’s written a rich, electric story set at the turn of the last century in Harlem and Portland, excavating darkness so very similar to what we face to today. You know the doom of those who don’t learn their history, right? Alice “Nobody” James grows up in the toughest circumstances in Harlem’s Little Italy and ends up the protégé of a mobster on the rise, used for her ability to blend in anywhere—her Nobody-ness—and spy for her deadly boss. That life is all but over when the story opens. Alice is on a cross-country train, badly wounded by a gunshot, trying to escape those who would finish the job. Alice, hurt or healthy, is an enthralling character who provides the novel with its distinctive voice as its narrator. She wants to survive. She wants to help others. She may, even, want to be a somebody. As the train pulls into Portland, she is saved by Max, a good-looking Pullman porter, and taken to The Paragon Hotel, the city’s only hotel for blacks. The Paragon is a place for Alice to explore, her curiosity growing as she heals under the treatment of the alcoholic doctor who also owns the place. Filled with intriguing characters—all so well described and defined by Faye you don’t loose track of who’s who—Alice’s interest collides with the workers’ fears of what will happen if a white woman is found in their hotel. The Paragon has already been vandalized. The Klan is on the march. Alice uses her different Nobody personas to ingratiate herself, to lesser or greater effect. She quickly becomes friends with Blossom Fontaine, the beautiful club singer whose character is the equal in the story to narrator Alice. They make a stunning pair in conversation or in dealing with corrupt cops, the KKK and the hunt for a child missing from the hotel. This disappearance is the key whodunit in the Portland segments of the story, and Alice makes it her business to solve the mystery. The novel is structured with alternating “Now” sections in Portland and “Then” in Harlem, when Alice is growing up and into her life of gun moll. Such alternating time frames often slow the story down, even if the past provides clues readers need. This isn’t the case here. The characters of Alice’s past, her whole story, are as compelling as the people and crimes of the present. While you may need to know the past to understand Alice in the present, the mysteries revealed and solved in Harlem are as startling as what’s going on in Portland. Her two lives also bring Alice a revelation. The Italians of Harlem (her father was Italian) are as abused and bulled by the Mafia as the blacks are by the Klan and their ilk. Faye gives us a peek at what’s in her mind with a historical afterword. She describes moving at the age of six to Portland from San Jose and finding suddenly the only skin color was white. There’s a historical reason for this. She reports the efforts by Oregon’s settlers to create a territory free of racial diversity. Just one historical example: The state didn’t pass the 15th Amendment giving people of color the vote until Feb. 24, 1959, 89 years after it had become the law of the land. In the 1920s, Oregon boasted the biggest KKK organization west of the Mississippi. Then there are those two brilliant, wonderful strong characters, Alice “Nobody” James and Blossom Fontaine. Prohibition is all the rage during this story. The other Constitutional amendment ratified during the period was the 20th in 1920 giving women the right to vote. History as litany can be boring. Woven into a brilliant story, you might even miss the lesson. 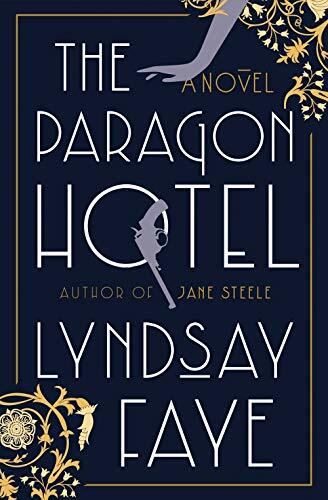 But message or no message, lesson to be learned or not, Lindsay Faye has written a crackling historical mystery in language that sings in its dialogue, description, and narrative. Rich Zahradnik won the 2018 Shamus Award for Best Paperback Private Eye Novel for Lights Out Summer, book four in the series featuring journalist Coleridge Taylor.